Known as the pearl of Africa, Uganda safari is undoubtedly one of the best safari destinations in this beautiful continent. Millions of tourists all over the world travel to this country each year to see and enjoy its unmatched nature, diverse wildlife, and unique culture. However, there are still many exciting things that are still mysterious and appeals to those people who love adventurous trips. 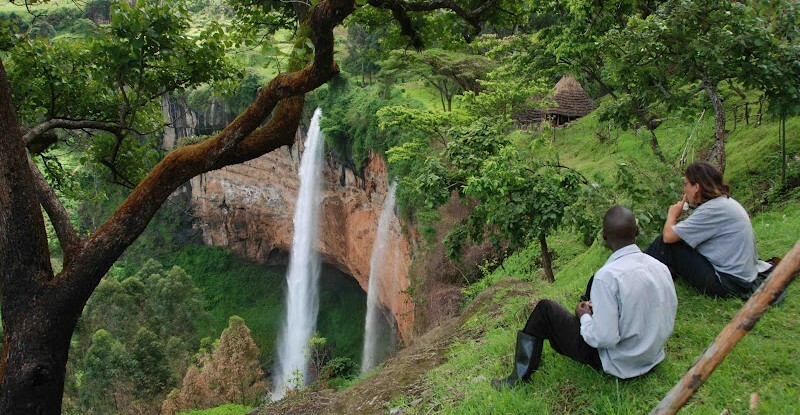 In this post, we’ll give you some reasons why you should travel to Uganda. Uganda is amongst the only 3 countries on Earth where mountain gorillas are still existing. In fact, up to 50% of the population is currently living in dozens of safaris around the country. Whether you have 3 days or 10 days, it is recommended to have a gorilla tracking tour to discover the life of these species. Booking a safari trip in Uganda is really simple with many discounted programs available. With so many national parks, natural reserves, and jungle forests, you can actually experience and learn more about the habituation of our close cousins. There are 11 national parks in Uganda, and each of them is quite distinctive and has different features from the others. If you love boat cruises, then the Queen Elizabeth National Park can be a perfect destination with a trip between 2 rift valley lakes of Edward and George. This route accommodates the largest number of hippos in the world, but you can also see so many other species during 2 hours of the journey. The Murchison National Park located in the north of Uganda is another great place for bird lovers. Here you can see and record more than 600 bird species while taking a game drive in the ishasha or visiting the crater lakes. When it comes to mountains in Africa, many people often think of Kilimanjaro. However, if you don’t like a destination with so many travelers, it is a good idea to visit the Rwenzori, which is one of the highest un-tapped mountains in Africa. It has an altitude of up to 5090 meters above the sea level and covered with snow capes all year round. Climbing the Rwenzori mountain isn’t only adventurous but also more challenging than Kilimanjaro. So if you are searching for the next climbing trip, then Uganda can be a great destination to consider. The local people in Uganda are wildly known for being very friendly and nice, especially to the foreigners. No matter who you are and where you come from, every Ugandan is always welcoming, happy and willing to help. With a lot of support, you can enjoy the best experience and cultural diversities here. From the east to the west, from the north to the south, you would find many interesting things to visit and do in Uganda, making it a relaxing and peaceful destination to visit. Though Uganda is located near the equator, its climate isn’t actually the same as other equatorial regions because of several factors, including vegetation, relief, and water bodies. This means that you can visit this beautiful country all year round without worrying about boiling hot days or heavy rains.